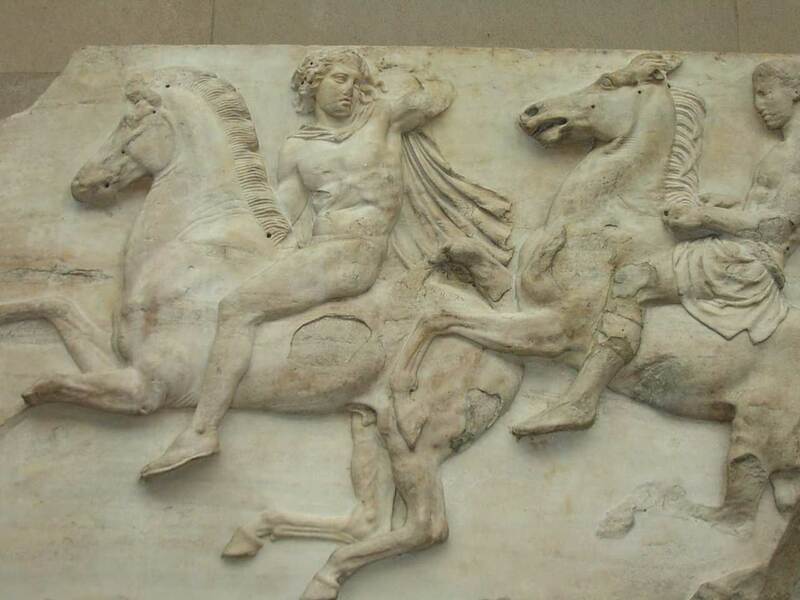 Cavalry from the Parthenon Frieze, West II, 2–3, British Museum. Almost everyone in Greece and the United Kingdom has heard about the conflict over the Parthenon marbles. This diplomatic dispute between these countries is a textbook case of how restitution claims should not be handled. Up until now the discussion has focused on finding the ‘truth’. This has escalated the conflict into a stalemate. Rather than a truth-finding mission, the conflict should be understood as what political scientists call a ‘framing’ conflict: each party tells their story with its own inner logic and these stories are mutually exclusive. The ‘facts’ are not the point in a conflict like this. When Greece and the United Kingdom eventually reach the negotiation table, the question is how this conflict may be handled effectively. Stephanie Kramer, MSc MA (University of Amsterdam) will give a lecture on “Redefining the Conflict over the Parthenon Marbles” at the NIA / Athens, attempting to redefine the conflict as a ‘framing’ conflict and will discuss the best negotiation strategy for all concerned. Where and when: Netherlands Institute at Athens, Makri 11, 117 42 Athens. Wednesday, December 10, 2014, at 7.00 p.m.